I heard about these several months ago and then somehow managed to forget all about them until a friend was kind enough to let me borrow one after a long night of dancing. The evidence can be found in many of the pictures taken of me over the last few months with sad, raccoon-ish looking eyes. These lovely little sticks remove under eye gunk such as shadow, mascara and liner in one swipe. Simply break off the end that has a stripe around it to release the fluid into the other end. 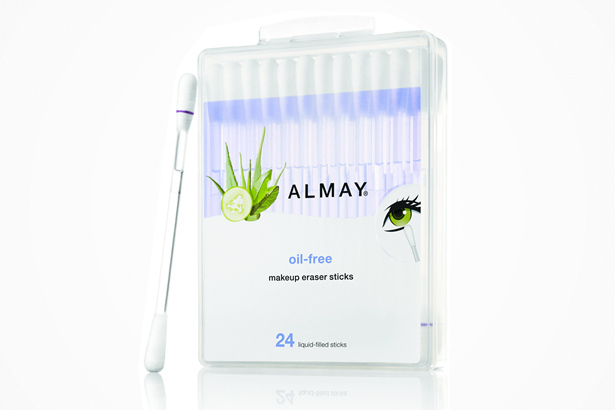 Then you can remove anything left after washing your face with your magical eraser stick! No more tugging at the delicate skin underneath your eye with a cotton ball and some oily eye makeup remover that you never threw out even though it makes your eyes water or (even worse) your finger. I usually end up inadvertently wiping mascara that has pooled under my eye away with my finger which is bad, very bad. These come in a pack of 24 and are currently available at ulta.com for $4. That makes them around seventeen cents a piece, which is basically free. That is nothing less of a magic wand to me....removing eye make up can be more tedious than getting it on.As much as I love to wear the smokey look it is very hard to clean off it. I agree! And I never have that "grungy-cool" day later look, I just look like a raccoon.